The Clayoquot Island, also known as “Stubbs Island” just a few nautical miles from Tofino and is brimming with history. 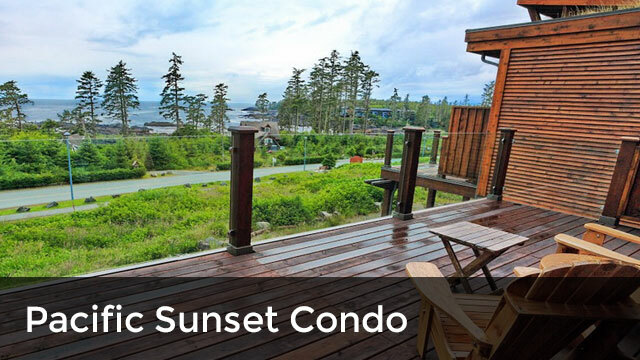 It’s located just south of Opitsaht, the home of the First Nations tribe Nuu Chah Nulth, on Meares Island who have lived their for over two centuries. Originally the name was given by the residing first nations tribe and got its spelling from the early traders (first record 1785). The spelling has morphed from several variations: Clioquatt, Clayocuat, Klaooquat and Klahoquaht. The name originally came from the word another or different, which is “Tla-o” or “Cla-o” combined with the word for people or village “quaht”. 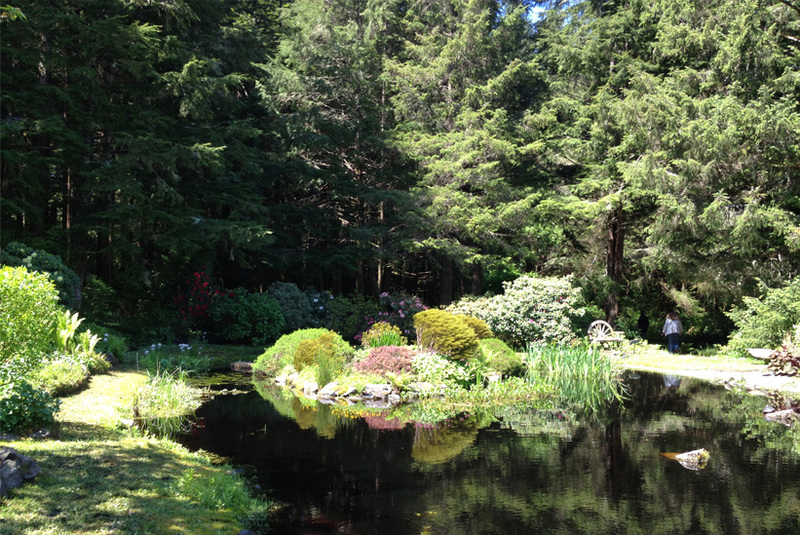 This island is West of Vancouver Island and is comprised of nearly 250 acres of rainforest, beaches, sand dunes and vibrant gardens. The Nuu Chah Nulth people lived a fruitful, and simple life navigating the land and shores. Their cultures is rooted in ethics which cultivate community. 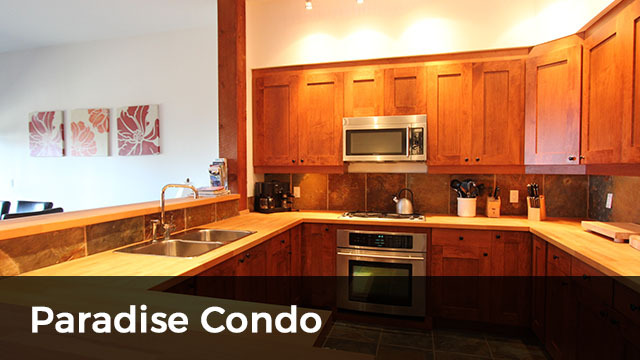 They highly value respecting the environment, cultural traditions and workmanship. 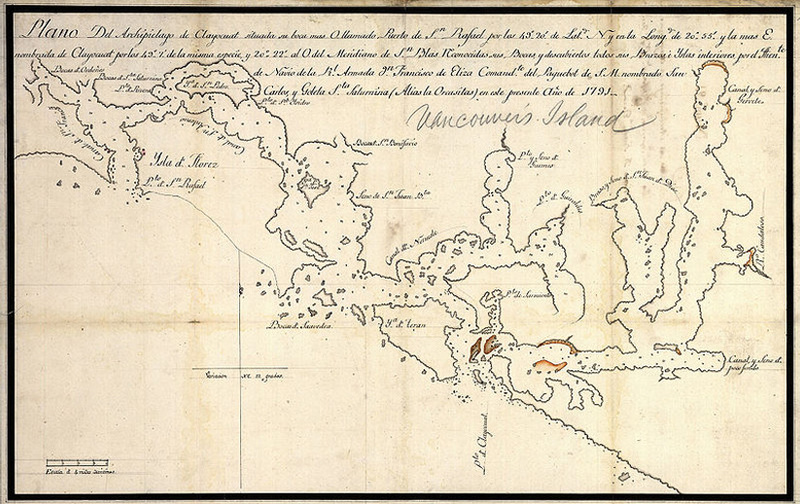 After explorer Captain Cook arrived to Clayoquot Sound in 1776, traders shortly followed seeking sea otter furs and dogfish oil. One of the first trading posts (beyond Fort Victoria in the south) established in 1860. One of the first to permanently settle was Frederick Thronberg, alongside missionaries. 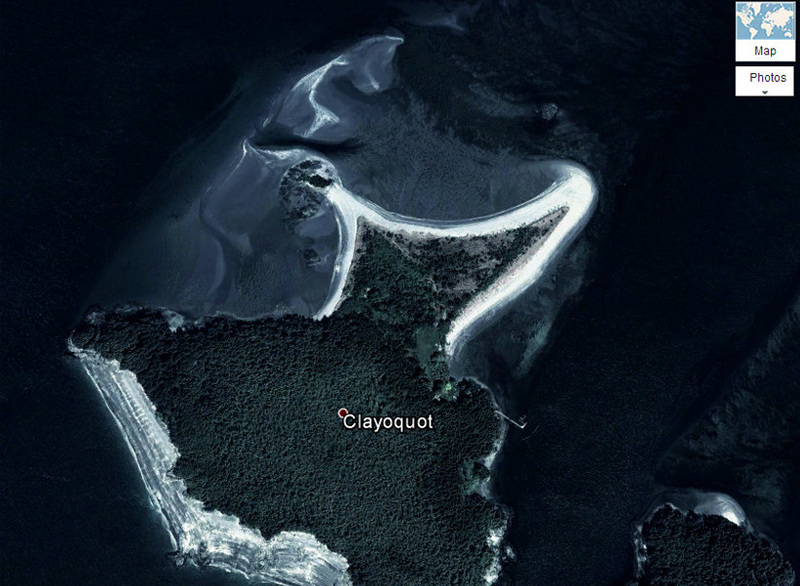 As Clayouot grew into a community, the first hotel and beer parlour on the west coast was developed. A school was shortly built, as well as a log jail, gold assay office and residential houses. By the 1890s, Bering Sea bound vessels were outfitted in Clayoquot waters, and at one time it’s recorded that 16 schooners were moored at the Island. An annual all coast celebration is held in the villages for a few days for for a few days on the Yearly there is a celebration on all coastal villages within a few days of Queen Victoria’s birthday, May 24th. All types of festival games commence including a logging completion and the keystone contest – a tug of war. 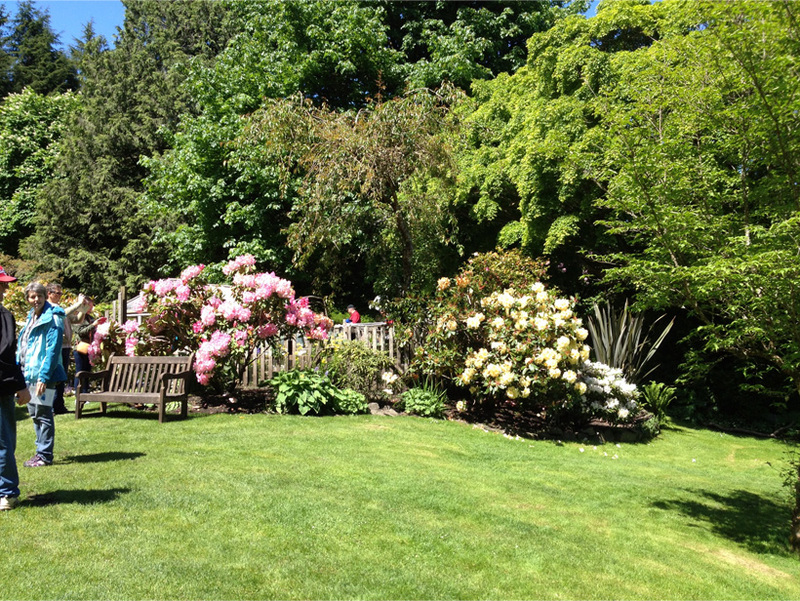 To this day, the tradition is celebrated with a public opening every Victoria Day weekend. 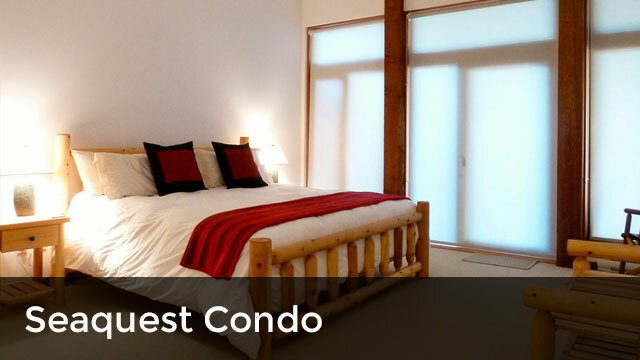 In the turn of the century Tofino was settled, and in 1923, it’s estimated that 30 Japanese families immigrated to Canada, settling in the Clayoquot Islands. It’s estimated that 30-40 Japanese moored their fishing boats on the Island. The community intermixed with the other inhabitants, enrolling in schooling alongside trader families. As a result of the Japanese attack on Pearl Harbor, Ottowa ordered the removal of all Japanese from the coast. This was a devastating time as the Japanese were forced to evacuate without notice, their village plundered and boats confiscated leaving each family economically ruined.hing boats on the Island. The community intermixed with the other inhabitants, enrolling in schooling alongside trader families. that 30-40 Japanese moored their boats at the island. A few of the named Japanese-Canadian families that settled on the island were the Igarashi, Katsuro, Kimoto and Okadas. Of those families, the Karatsu are one of the best documented families. They were among all Japanese who were legally evacuated by the British Columbian officials after twenty years of living there (1922-42). The time period from the early 1940s to early 1990, accounts for the island sold to a variety of private owners until 1990, when Susan Bloom took possession of it. Since then, she has graciously registered 70% of the island to the Land Conservacy of British Colombia, turning it into a wonderful conservation. This voluntary legal agreement (covanent) is between Bloom and the Land Conservacy, which is legally bound to the land title indefinantly regardless of the land owner. In exchange for this covenant, the TLC monitors and regulates the objectives the historic Japanese village destination, forest growth, bird-nesting on the shoreline habitat and guarentees it will maintain the natural habitat. 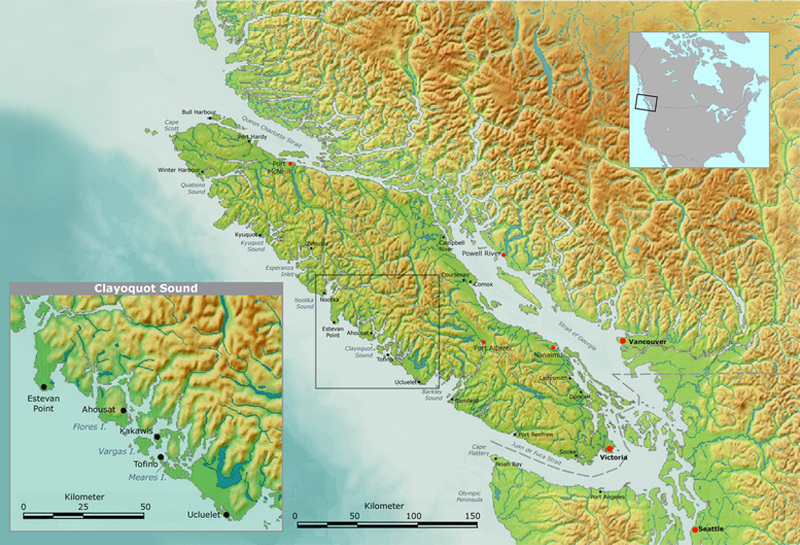 To date, it is said the population of Clayoquot island is two. The caretakers, Chris Taylor and Sharon Whalen live there with an environmentally sound, self-sustaining existance. They use solar panels to power their generators, and make potable water through a sand-filtering system. 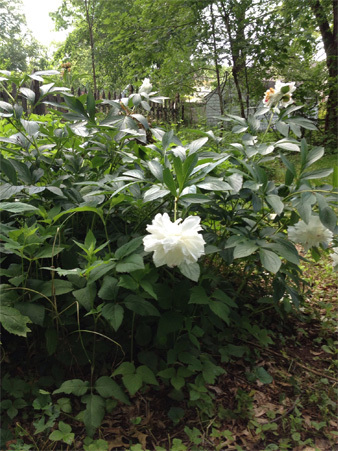 Their primary objective is to maintain the natural beauty of the large gardens. A tradition started in the early 1900s which held an annual May long weekend festival. This festival is still is in operation, and is open for the public.